It took me ten stages to walk through Cornwall at the start of this trek, and I needed seven more to carry me through Northumberland to the finish. But with moor, mountain and coast to enjoy, the county gave me a memorable finish to my cross-England walk. The Tyne and its tributaries drain almost every inch of central Northumberland, and choosing a crossing-place is an important strategic decision for a walk such as this. To complicate matters, the river splits into two at Hexham, the North Tyne and South Tyne, so in effect there are two valleys to be crossed (let alone those of tributaries such as the Nent, Allen and Rede) unless you head significantly west. I knew I wanted to avoid the Pennine Way until Bellingham, on the North Tyne, so in practice my planning had to chart two days from the Nent to the North Tyne. On the South Tyne, after toying with Bardon Mill, I decided the best place to cross was Haydon Bridge, which gave me varied days either side, including a brief encounter with Hadrian’s Wall. The generally pleasant weather of the last two days was only a memory, waking to a typical Pennine day of drizzle and low cloud. Still, nothing for it, and I set off for another Hewitt, The Dodd. The tracks up to it gave me a taster of an oddly-named trail that I would pick up again later, Issac’s Tea Trail, celebrating the philanthropist (and tea-seller) Isaac Holden. It didn’t run across The Dodd though – nothing does, it’s a desolate plateau of peat hags with pretty much nothing to recommend it, certainly in viewless weather such as this. Still, The Dodd has one great merit, once off the top: moorland tracks leading swiftly away, at just the gradient to allow quick progress without over-striding. An hour later, and I was back on the Tea Trail in the sheltered land of the West Allen valley; the day was dry now too. 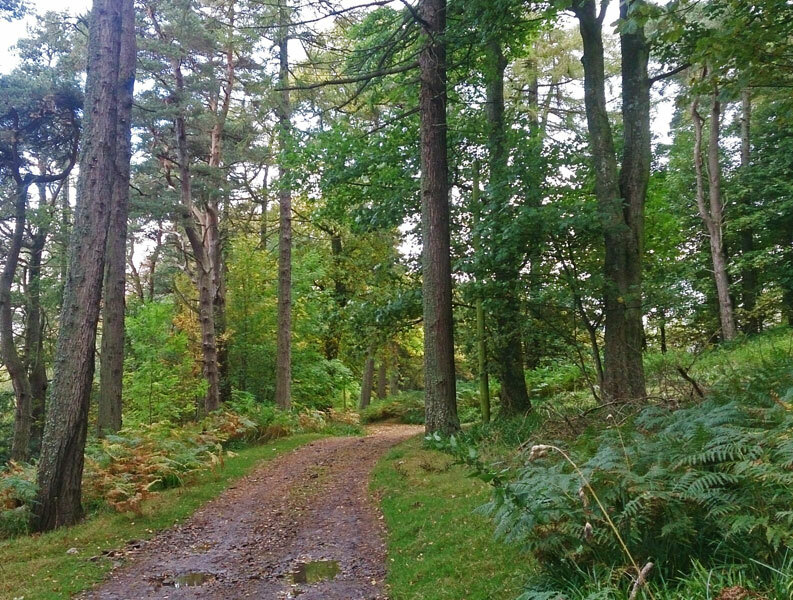 From Ninebanks church, the Trail heads uphill a bit before contouring through Monk Wood above the West Allen. It climbs a little once more, above the 1000ft contour to Keenleywell, where I left it, dropping down to the East Allen before a climb up to Catton Beacon. There were good views from here, especially north. Mixed ground from here descended gradually to the valley of the Tyne, whose waters would drain my walk for many more miles. The campsite at Haydon Bridge was just before the town, and I noticed that despite being close by the river, it was a windy pitch. It was a rough night, with 50mph gusts testing the tent and preventing much in the way of sleep. So began a long day heading north, with slow ups and downs through the rolling and desolate countryside of west Northumberland. First though, a chance to stock up at the Haydon Bridge Co-Op, before climbing away from the valley and the two-mile green lane of Fell Lane to the pretty churchyard at Newbrough, resplendent in autumn colours. From here there was a lonely moorland track which I’d expected to be a boggy mess but in fact was remarkably dry underfoot – indeed the whole day was firm beneath, quite unlike the previous three. 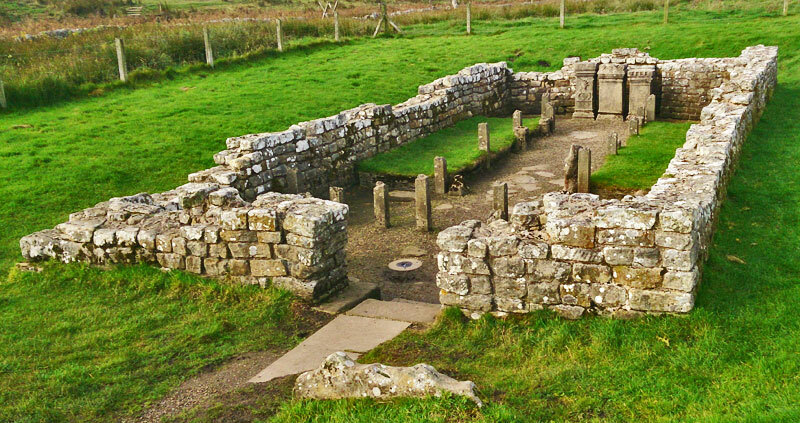 The track led to Hadrian’s Wall. My encounter with it was brief, just a few minutes at the mithraeum of Brocolitia Fort. There were people around of course, not a problem in itself, but they had dogs over which they had no control, despite there being sheep nearby. Time to set off north again, on another long green lane (though sometimes more green than lane), to Ward Lane, where I had time for the Haydon Bridge sandwich and a bit of TLC to my feet – which coincided with the only two cars to pass by. There were blackberries fresh from the bush for an impromptu pudding, something like six weeks after they were a memory in London. From here it was a case of piecing together farm paths, some obvious others not, with a short westwards section into the teeth of the wind – not a day for any inexperienced walkers to be Bowness-bound on Hadrian’s Wall. Finally the Pennine Way was gained, not for long today, with the unexpected (if you’ve not been there before) crags at Shitlington the highlight. Bellingham is not far now, and I was soon settled in at the bunkhouse. Since Demesne Farm had served me so well six months before, I had no hesitation in booking back in for the start of the final five days. 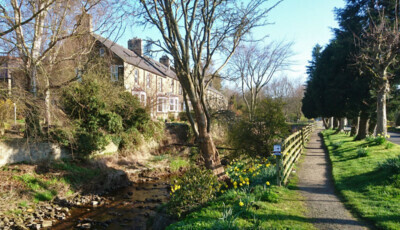 I would now be taking the Pennine Way north for a couple of days, before swinging across the Cheviots to the small town of Wooler. That meant I had walked today’s stage before, in 1994, and it was interesting to compare memory with present. 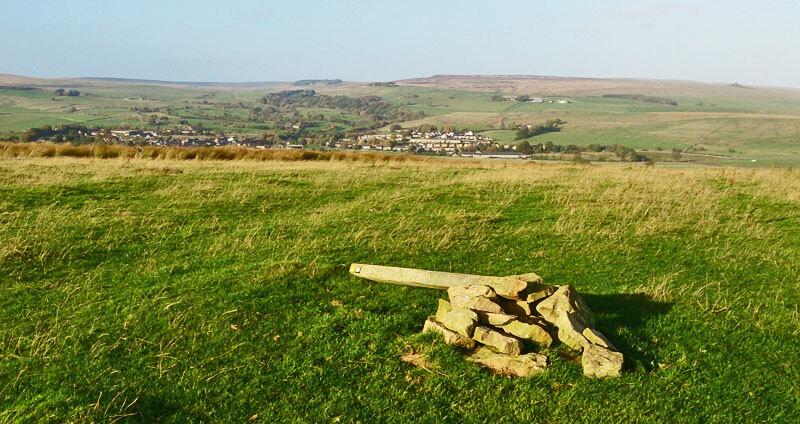 It was certainly a nicer day today, with long sunny periods and a light wind instead of the drabness 20+ years before, and my route finding was a little more confident (though I did briefly wander off line south of Hareshaw House). Though there are bits of boggy ground, there are no sharp climbs across the low hills of Deer Play and Lord’s Shaw, and it’s a stretch made for a first day out when you don’t want anything too taxing – or, for whole-trail walkers, need to preserve oneself for the final Cheviot day (or two). As it happens, a friend had walked the whole trail a few weeks before, and he’d been informed about, and hence avoided, the notorious Rumblingsikes Bog north of Brownrigg Head. I didn’t recall any problems in ’94, but decided to follow Adam’s lead in the easy detour, between forest and cleared forestry west to the track above Gibshiel farm. The miles from here are easy, broad forestry tracks all the way, though the official Way takes a couple of ‘short cuts’, the first of which I didn’t bother with, the second of which I did. The last mile gets off the gravel to a nice path beside the River Rede, and a pleasant campsite on the other bank. 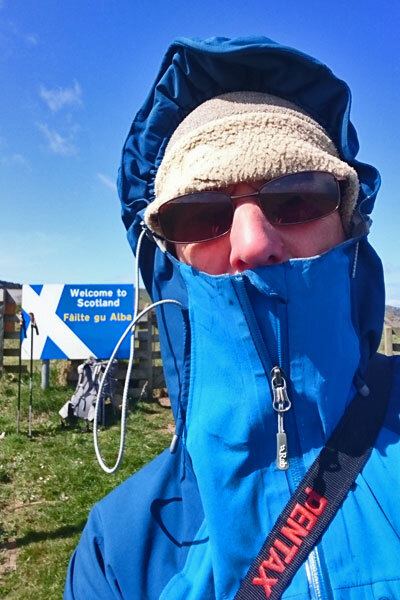 All my planning, up to the day I booked train tickets – the Monday of this week – had me crossing the Cheviots by the Pennine Way to Kirk Yetholm, and then reaching Wooler by St Cuthbert’s Way. This would have seen me complete the Pennine Way, and hence knock off another National Trail. But it wasn’t ‘tidy’: there would be a bit of backtracking out of Kirk Yetholm, and there would be a significant incursion into Scotland. So at the last moment I thought: what about picking up a couple of Cheviot Hewitts, in addition to the two on the PW itself? A quick map check showed this to be very practical, and it saved me a day as well. The last ten miles of the Way could wait. Ice on the tent was no surprise, given the clear skies: a chilly day lay ahead. 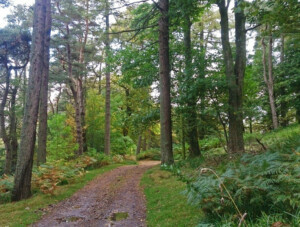 Pine woods took me through Byrness, where Dave Travers and I had completed those Pennine Way days back in ’94. We’d stayed at the Border Hotel, long the last staging-post for Way walkers, but defunct now, its place taken by the C’foot campsite and the relatively new Forest View Inn in Byrness village. It’s soon sharp uphill to gain open ground at the top of Byrness Hill, then more slowly rising to the first principal height of the Cheviots, Ravens Knowe. All the while, the grand wild valley of the Cottonshope Burn – much of it now part of the military Otterburn Ranges – unveils itself to the east. At Coquet Head (which gives rise to the first river since day 49 that is not a Tyne tributary) there’s a brief incursion into Scotland, unmarked here by fence, and for almost all the rest of the day my route, and the Way, follow the border. The Roman camp at Chew Green is however entirely in England. It lies beside Dere Street, an important trading route from Hadrian’s Wall to what the Romans knew as Hibernia – there may have been little Roman settlement here, but they undoubtedly had mercantile interests to protect, and my cross-Scotland walk had taken me over the Antonine Wall in what is now Scotland’s central belt. The Way is routed beside Chew Green, which was called by Pevsner “the most remarkable visible group of Roman earthworks in Britain”, before heading north, then north-east across wild country to the refuge hut at Yearning Saddle. Just after leaving camp in the morning, I’d met a north-to-south PW walker who had spent the night there, and I reckoned you could just about sleep four in there, one on each bench and another two on the floor. 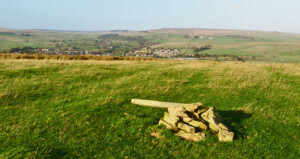 With Lamb Hill, Beefstand Hill and Mozie Law, the high points are getting higher now, around the 1800ft line. The day’s only Hewitt, Windy Gyle (2031ft) had been in view for some time, though dwarfed by the bulk of tomorrow’s target The Cheviot. 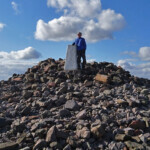 With its grand high cairn topped by a trig point, Windy Gyle’s summit is worthy of the distinction. As I arrived, I saw a lone walker top out: he worked in Newcastle, he explained, and finished early every Friday so that he could lone camp on this or another summit, whatever the weather. It was going to be a cold one, -4 or -5 he thought. 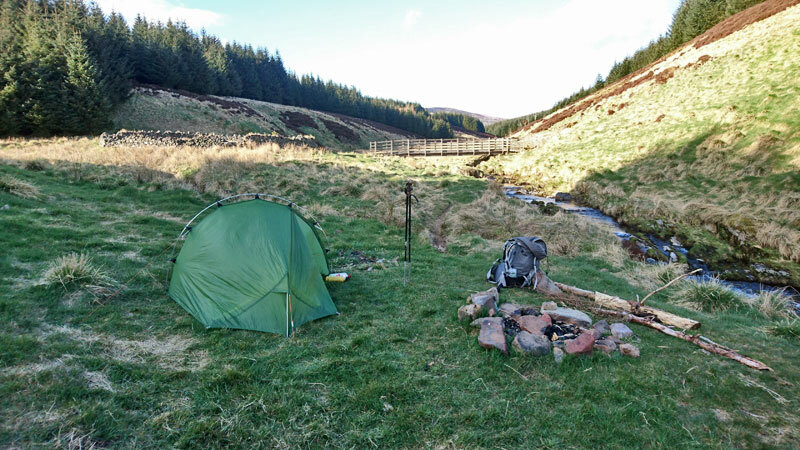 He’d bought water up, but by now I was running low so I couldn’t join him; as planned, I dropped off the ridge another mile on, to reach Davidson’s Linn, a pretty spot by a waterfall and perfect for wild camping. I was just about warm enough overnight, but didn’t want to linger after an early breakfast. It had been colder than the night before, with a fair amount of the frozen stuff to shake off the tent before leaving. The Pennine Way rises, mostly now on stone flags, to a point high on the shoulder of The Cheviot. Here, PW walkers have a decision to make: take the long mile detour to its summit and then return here – an official stretch of the trail – or simply march northwards towards the finish. Conscience has no doubt often lost out in foul weather. For me though, there was no issue, as today’s aim was this and two other of the six Cheviot Hewitts. In the early days of the Pennine Way, the stretch on The Cheviot (2674ft) was far tougher than now, with much bog and many peat hags making for slow and precarious going. The stone flags make things much easier now. What has not changed is the lack of invitation that its summit gives. As the highest point of the range, and indeed for many miles around, you might at least expect a decent view, but the summit is a plateau cutting much of interest from the panorama. Indeed, so much difficulty did it give the good men of the Ordnance Survey that they had to perch their trig point atop of extra stoneworks. Not a place to spend long then in contemplation of nature and all its works, and one at least of the day’s two other hills looked inviting in comparison. Halfway back to the PW junction a path leads south then south-east to Comb Fell (2139ft). It’s not a manicured path like the PW so there are some real peat hags to cross, but with a fence to follow there’s little difficulty in route finding. It has to be said though that Comb Fell is the sort of hill that’s barely worth a Hewitt tick. 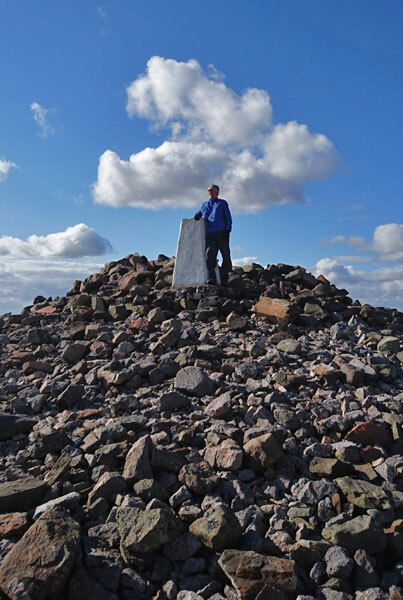 The summit is defined as a ‘thick fence post’ – no joy of the cairn here. However better is at hand a mile-and-a-half ENE with Hedgehope Hill (2343ft), which has quite a nice, almost pointy summit and a proud position over the plains encircling Wooler. Beyond, the way down is even more interesting, a few crags unexpectedly scattered across the moorland, hosts to long-vanished settlements. A permissive path runs down via a couple of them, Long Crags and Housey Crags, to the road in the valley of Harthope Burn, which I joined (though often wandering towards the burn) for the two miles to Carey Burn bridge. The road goes directly to Wooler, but it’s far more interesting to take paths past the farm at Earlehillhead to enter Wooler by St Cuthbert’s Way, a popular trail from Melrose to Holy Island. This was not the plan. The plan was a nice, easy day by St Cuthbert’s Way down to the coast and then a campsite a couple of miles north of the Holy Island causeway. I just thought it a good idea to check the campsite details the night before. Alas, in my earlier planning, the web had played me false – I’d been looking at outdated sites all the time. There weren’t many options. I couldn’t stop short of the former campsite because I had a train to catch the next day. No B&Bs thereabouts. Ask nicely for someone’s garden? Perhaps. Wild camping in the dunes might have worked, had there been a non-saline water supply. Or to keep on seven more miles to the next campsite, just before Berwick itself. As I set out I realised that the last of these had the greatest certainty. After all, the ‘extra’ miles were straightforward, level by the sea and mostly on good tracks, promised the map, so I set off at a fair pace and saw what the day would bring. 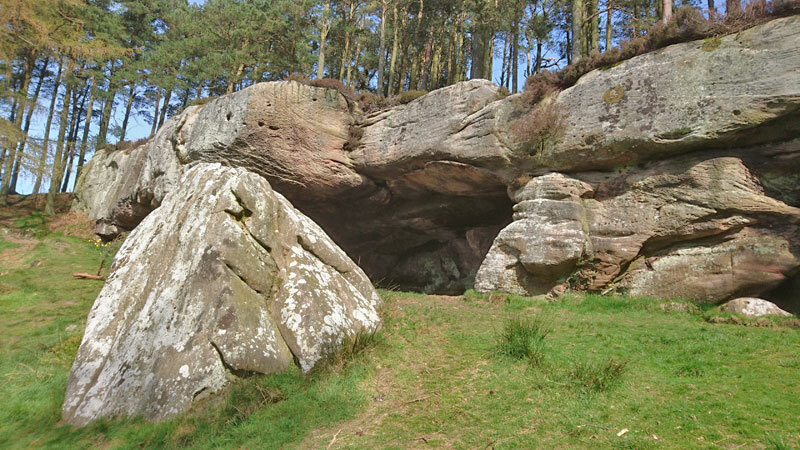 There were nine walkers on St Cuthbert’s Way at the hostel, and despite their having a good half hour start, I’d reeled all but three in within a couple of hours and the remainder by St Cuthbert’s Cave, eight miles out. And it really was a pleasant day for walking, sunny intervals, not too hot, no threatened cold northerly. A brief wooded interlude lead steadily downhill, and just before the A1 the village of Fenwick had a well-placed bench just right for an early afternoon pause, the bulk of the day already behind me. The sea was soon reached, albeit with a path diversion, though this was one of those diversions that made sense to both walker and farmer – it avoided a possibly soggy trudge across a featureless field. The causeway end to Holy Island, just before high tide clamped down on crossings, was always going to be a good place to sit and watch the crossers for a few minutes. An Essex-style landscape of creeks and saltmarsh now asserted itself. At Goswick, there was once the campsite that as late as yesterday I had banked on: I’d held out a little hope that it might not be closed, but there was not now a single trace; but I was moving so well that I doubt if I would have ended the day there even if it had been otherwise. I phoned ahead to the new site, and ensured my stay there. On the very last bit of grassy track before Spittal, Berwick’s southern suburb, a dog-walker stopped for a chat, praising my trekking pole technique. Some guys just make you feel good about yourself. It makes sense to make hay on a good day, for Monday dawned wet, and I could have the luxury of waiting till the rain had passed before striking the tent. The wind had sprung up too, and was now the biting northerly that should have happened yesterday but didn’t. 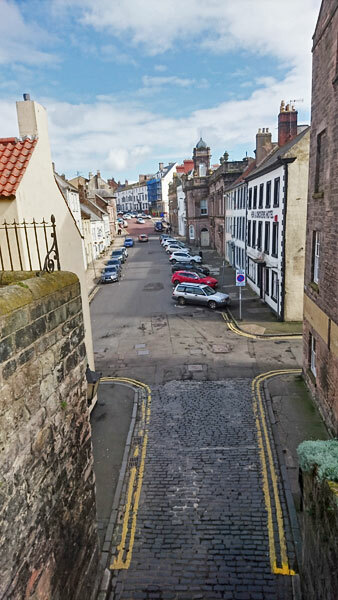 I crossed into Berwick on the 17th century Old Bridge, and with coastal path markers pointing neither to road nor rampart path, took my own decision on which way to head. 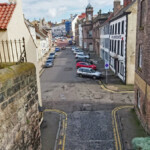 The 16th century rampart walls, dating back to the days when the England-Scotland border was both fluid and contested, certainly provided the drama, together with good views into the town itself. But turning north through the site of the former Barracks, that north wind started to assert itself in earnest. 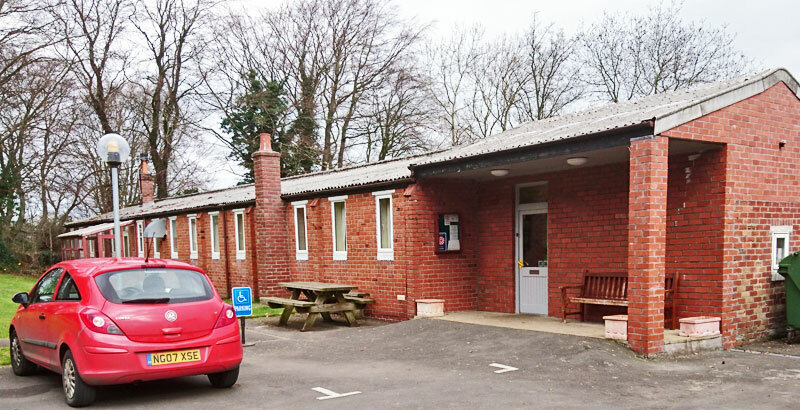 Just after leaving the historic site, Magdalene Fields Golf Club loomed, and since it said ‘families welcome’ I reckoned they could put up with a lone walker. After all, the wind had kept all the golfers away. From here there were just three miles left, tightly braced into the wind. The coast north of Berwick is quite unlike that south of the town, as crags and cliffs start to assert themselves, a nice little rock formation at Needles Eye particularly attractive. There is one anti-climax at the Marshall Meadows Caravan Park – no choice other than to go right through it – but the coastline soon re-asserts itself. And so to the last few yards. I remembered that, in 2007, there was open sheep pasture here, but now it was constrained by fences: and a ‘Welcome to Scotland’ sign has been erected here too, on the English side, and what was a border stile is now a kissing gate. I reached the gate, put down my sack, noted the time, and burst into tears, hoping that at last my father, who had died in 1977 while I was still, though 25, well short of being an adult, would be proud of me. Three camp-and-caravan sites: Poplars Riverside at Haydon Bridge, Border Forest Park at Cottonshopeburnfoot, and, for the last night of all, Seaview at Spittal. They’re all OK, but Cottonshopeburnfoot wins for location, and Seaview for warmth of shower block. 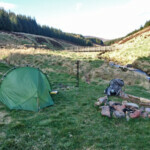 One wild camp site, Davidson’s Linn, clearly quite frequently used. The Demesne Farm bunkhouse in Bellingham – unusually for a farm bunkhouse, right in the village – takes tents in season, but I was just too early. That just leaves the old-style Youth Hostel in Wooler, something of a time-warp these days and nothing wrong with that.